#161. 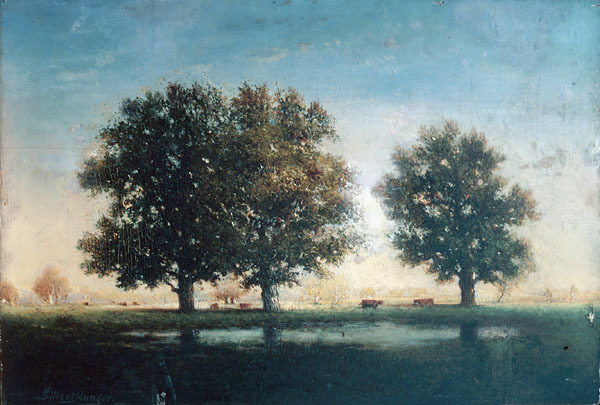 Fontainebleau (Three Trees). 18 x 26, oil on mahogany panel. "Gilbert Munger" lower left in gray paint. 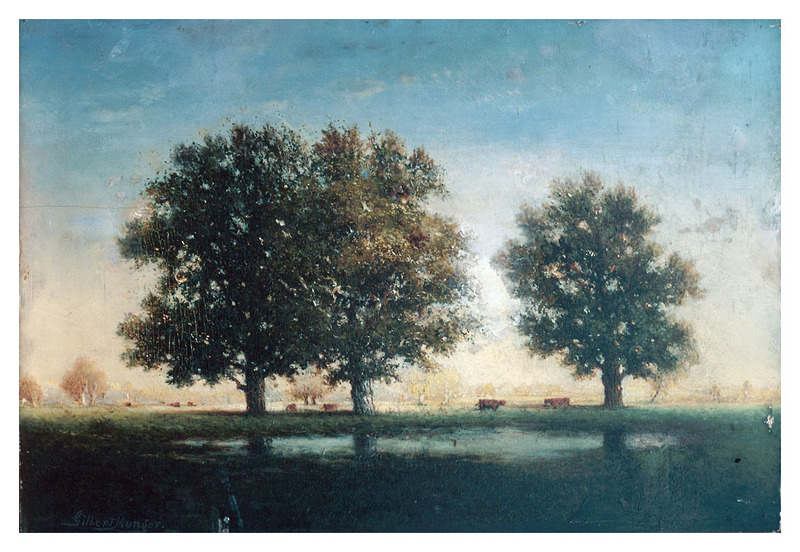 This painting possibly is another depiction of the trees in painting #12. The panel is beveled at the back on the four edges and bears the stamped number "15". From a descendent of Roger Munger to the present owner. QFD 71. Image from photo provided by J. Gray Sweeney.